Do you really want the candy? Vending machines are not only the savior of afternoon cravings but also an invention embodying instant gratification. For a person watching their diet, this isn’t exactly the way to do it. Never give up on the behavioral nudge, however. 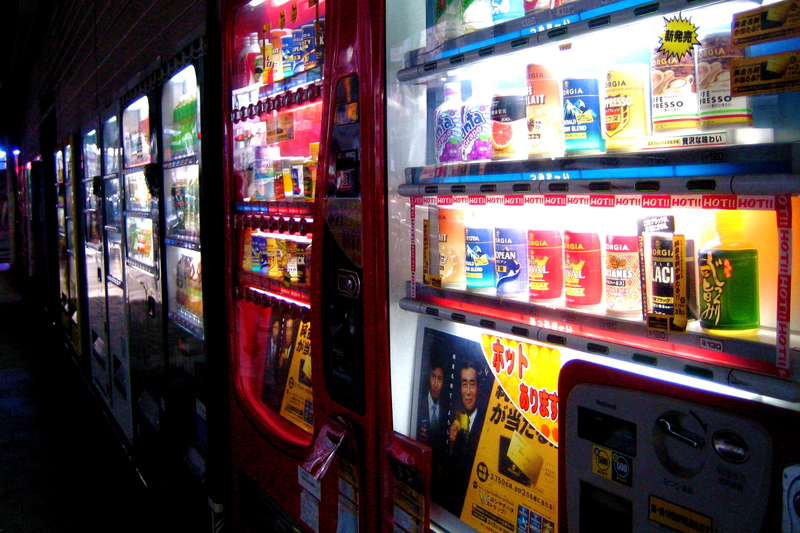 Researchers created a vending machine system called DISC (Delays to Improve Snack Choices), which withholds less healthy selections, like candy, for 25 extra seconds. The idea is that in those 25 seconds, a person might guilt-trip and change their mind, according to a recent meeting at the Society of Behavioral Medicine’s Annual Meeting & Scientific Sessions. DISC trials have resulted in up to five percent increases in the sales of healthier snacks over less healthy options — without any decrease in total revenue. It’s a more economically viable technique than comparable options, like a 25-cent discount on healthier snacks or a 25-cent tax on unhealthy ones. The findings were presented Friday at the Society of Behavioral Medicine’s Annual Meeting & Scientific Sessions. For the purposes of this study, “healthy” snacks were required to clock in at less than 250 calories, 10 grams of sugar per serving, and no trans fats. The system makes the distinctions clear with easy-to-read labeling and warns the user of the system in advance. The results recall the famous marshmallow study test, which delayed gratification among small children to figure out basic personality differences, like grit and determination. While that experiment showed how a small, immediate reward might be selected over the promise of a larger, more abstract one, this experiment tests whether “delay discounting” can actually be leveraged to promote a healthier snack choice. “We hoped that someone who preferred M&M’s to a granola bar could be “nudged” to choose the granola bar if it was available right now and the M&M’s were only available after a delay,” Appelhans explains. He doesn’t believe that these kinds of projects will serve as a replacement for behavioral changes where the onus is on the individual, but he does believe they can be a valuable supplement. Based on the rate of current research, he estimates that the next decade or so will see a rise in environmental interventions. It’s worth mentioning that in an age where we’re increasingly realizing just how messed-up food labeling and the process by which some foods get a reputation as “healthy” over others truly is, this is probably not bullet-proof stuff. But it does present an intriguing path forward. The study didn’t consider socioeconomic factors, so it’s difficult to extrapolate how these findings might vary among different demographics, like people in food deserts, lower-income neighborhoods, and populations with reduced access to fresh produce. But the researchers did find that time delays appear to be most effective in environments where healthy snacks were already purchased more frequently. Appelhans says that makes sense, since it’s possible that people who don’t regularly consume healthier snacks might require a different approach.